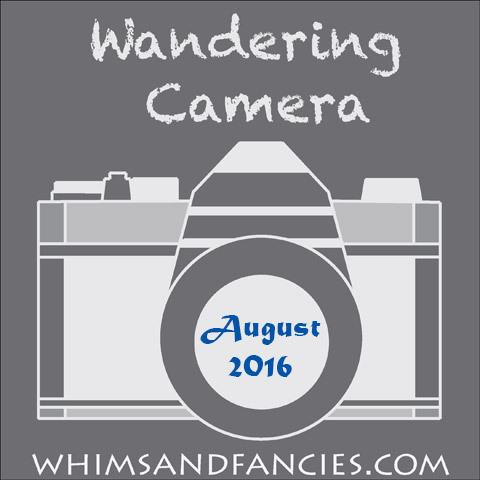 Welcome to the August edition of the Wandering Camera linky party. Thank you so much for the lovely comments and for sharing your photos. I love visiting your world through photography. 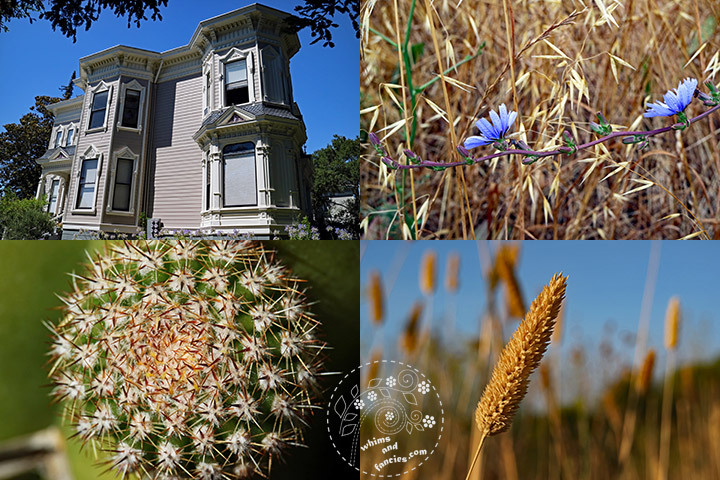 A little introduction for newcomers – This year I started taking one photo per day. I also started hosting this photography linky party at the same time. 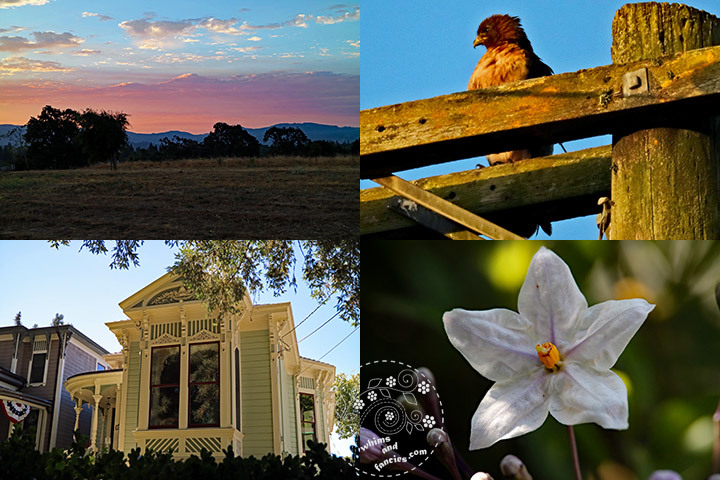 On the first Thursday of every month I share my monthly crop of photos here, along with a few photography tips and I invite you to link up your photo posts from the previous month. July was insanely busy for me, with very long days and weekends. Usually, my idea of relaxation is to play with a bit of photography, but I didn’t feel like doing much of that after those long days. Last month was also exceedingly hot, so I didn’t feel much like driving out either. Most of the photos of this month are therefore taken in close proximity of our house. It made me look at simple and familiar things differently, which, of course, is the purpose of taking one photo per day. I had also been wanting to fiddle with astrophotography a bit and I finally got most of my equipment properly set up for that. In July I took my first set of photos of Mars and Saturn by connecting my camera to my telescope. 22. That power pole was his usual spot until the blackbirds chased him way. 27. We were running a bit late that morning. These flowers only open up this much in full sunlight. 28. I had to run up the hill to capture these clouds before the sun peeked over the mountain. 31. 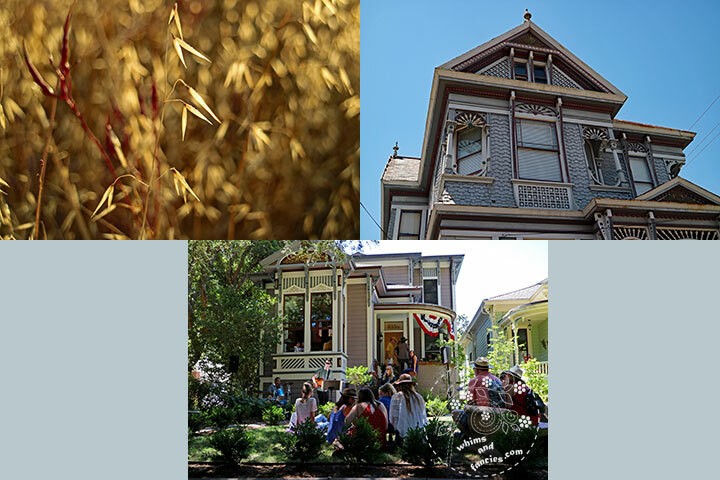 Some houses let local bands perform in front of their houses on Porchfest Day. It was a cool and breezy Sunday. We walked around a lot and stopped by several houses. In the evening we went out for dinner and a movie. It was a great way to end a month that had left me exhausted. Since I am more than ready for a break, I wanted to share a couple of things with you before I disappeared for a while. 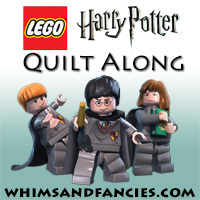 Many thanks to everyone who left a comment on the very first Lego Harry Potter Quilt Along post. It really made my day. Since quite a few people have written to me afterwards, I could not keep my resolve. 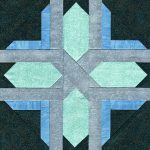 I will post the first two patterns one more time when I publish the next two. This way, latecomers can catch up / join in. As I was writing, the postman delivered a package containing these charm packs. 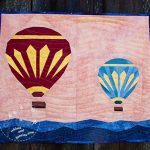 They came from my fellow Christmas In July blog hop participant Paige Alexander. 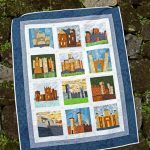 I usually shy away from leaving comments on giveaways, but I had to let her know how much I loved her project. Imagine my surprise when I won! Thank you so much, Paige! Please pay her a visit at Quilted Blooms. Let’s move on to talking some more about photography, specifically White Balance. You will notice that sometimes your photos have a noticeable blue, orange or yellow colour cast on them. That is due to the surrounding light source, which causes white to not appear as true white. The White Balance control removes that colour cast, so white appears truly white. Digital cameras use AWB (auto white balance) to achieve this. Most of the time it works very well, but sometimes you end up getting those colour casts anyway. In those cases, you can remove the colour cast by setting the White Balance manually. Almost all digital cameras come with a few White Balance presets for different light conditions. They are daylight, shade, cloudy, tungsten, white flourescent and flash. If you see your photos having a colour tinge, then either change the white balance to match the light source or continue to change it until you see the desired effect. In most scenarios, the preset WB settings are more than enough. You can also be a bit more adventurous and set a custom white balance. So next time your photos have that unwanted colour cast on them, you know how to fix that! You have several shots that I really like this month. The celestial shots are really awesome. Fabulous job!! 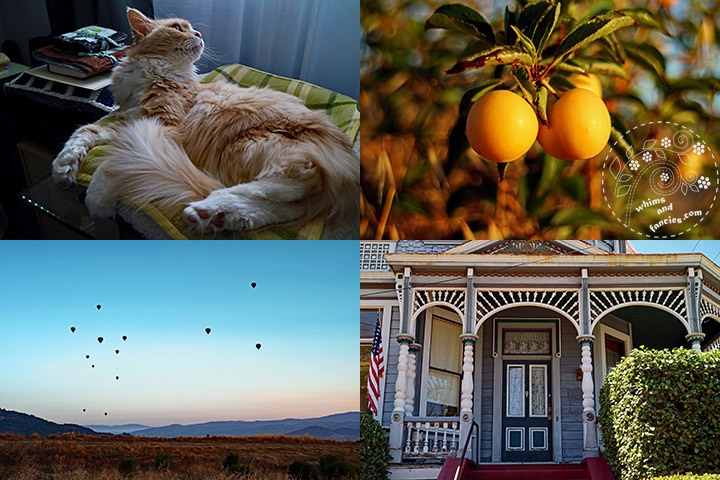 What gorgeous photos, Soma! They are stunning!! And, I am totally in awe of your Saturn , Mars and Vega photos !!! I wish I lived close to you, so that I could see how you set it up to your telescope!! 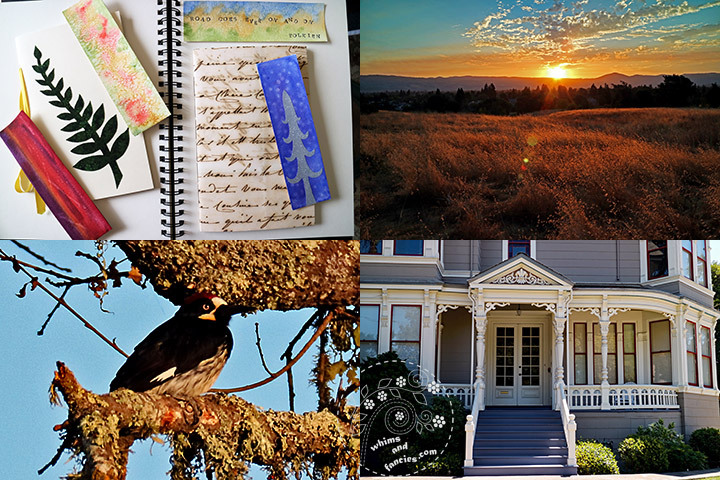 Thank you for sharing these treasures, which you found in the midst of a trying month! 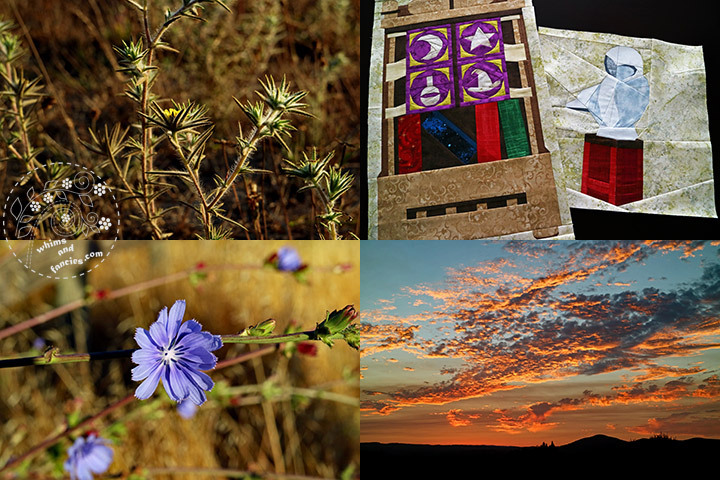 Great photo collages! Pure art! As usual, your photos are all beautiful. But your planetary and star photos are truly captivating. How amazing to capture that! Looks like you did well this month, Soma, despite having to stay close to home – it’s amazing what is right under our noses that we miss every day! You’ve got some fabulous shots there. Thanks for sharing about white balance, too – I need all the help I can get! Whoop whoop for a busy month finished and a fresh start! O, these are so wonderful, Soma! How I love the Victorian Houses. Wished I owned one. 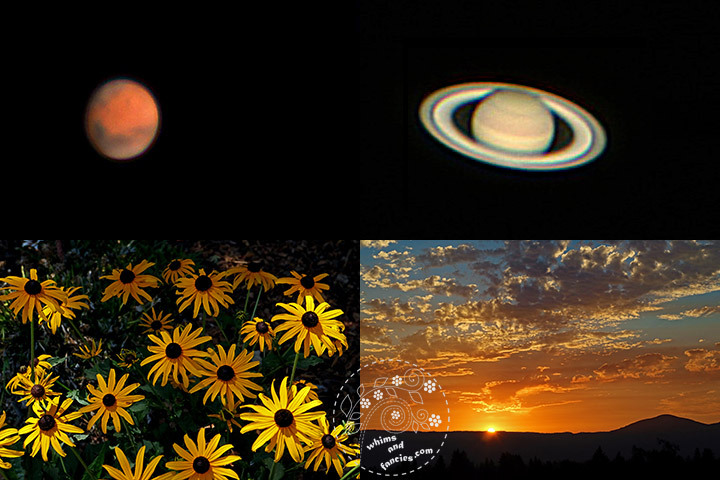 Beautiful skies, wonderful flowers, and I especially love your telescope pics. 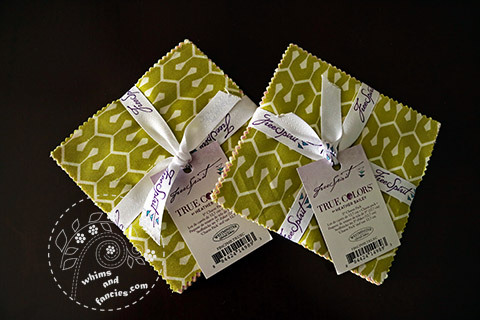 Inspiring linky party!! I can’t wait to link up a post later today!! Thanks for the motivation to capture our life in pictures. Oh wow, your photos of Saturn and Mars, and the night sky are incredible. The theatre of the night sky always amazes me. I am afraid my walks would take a long time as I would be always stopping to look at those incredible houses. I always look forward to your helpful photography hints, Soma. Actually, I always look forward to your Wandering Camera each month; so many visual delights to gaze upon. 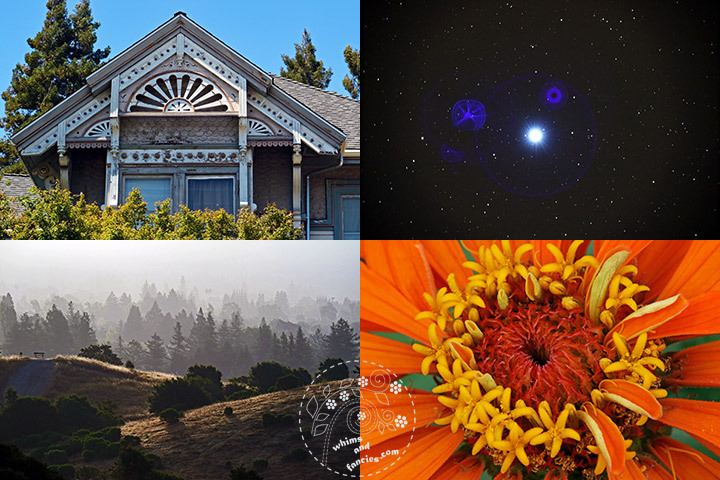 I really like this month’s selection of photos and am intrigued by your astronomy shots. Glad the charm packs arrived! As always, so enjoyed this month’s share. I’ve heard a little about white balance, but never think to adjust the settings. Thanks for your beautiful photoes. My favorite this month is the sunrise. 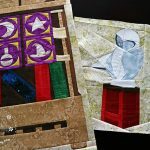 Wow…you have covered so many subjects this month – those planets are amazing…and I love the Kitty Tail Tuck!! I want to come take a walk with you!!!! The month’s photos are incredible – especially the telescope ones. When we were in the Sierras this past weekend the sky was amazing. I so wanted to capture it in photographs, but they were so blurry. Where were you when I needed you?????? Your photos of the planets are out of this world (sorry, couldn’t resist!) I’ve always wanted to take sky photos but haven’t figured it out yet. Thanks for sharing such beautiful photos. You have a lot of beautiful houses in your neighborhood. Gorgeous photos. Such a colorful lovely mosaic, really a summer feeling. 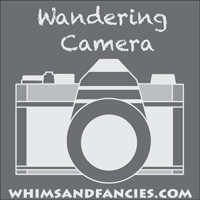 I’m new at Wandering C. – have a blog for photography and art journaling.